Today I’m excited to share a guest post by author Holly Webb on her writing day and give away a copy of ROSE AND THE LOST PRINCESS, her middle grade novel. It’s described as Downton Abbey Meets Harry Potter. Details of the giveaway will be at the end of the post. during the week we run around like mad things trying to find all the school stuff (socks disappear in this house) and then after I take them to school, I start work. Or in theory I do. Actually I make coffee, and talk to the cat. Our cat is currently living in a very small cage to keep her still, as she’s broken her leg, and has it held together with metal pins. She is bored stiff, and needs a lot of fussing over, which is useful when I’m trying to put off starting work! When I finally detach her claws from my sweater, I head into my workroom, which is tiny. It’s actually the back half of our garage turned into a room, just big enough for a purple velvet armchair and a lot of bookshelves. I don’t have a desk, I sit curled up with my laptop on my knees. How much writing I do in a day really varies – on a good day I can sometimes get going early in the morning, and write about 3000 words, but some days I just end up reading. Luckily I can usually convince myself that’s research… I write for younger children as well as the Rose books, so if I’m stuck I sometimes find that the change to a different story unsticks me! believe how much her life has changed. Once a poor orphan, and now an apprentice to the King’s chief magician! But when the country’s beloved Princess vanishes, everything changes. As rumours of dark magic fly through the city, the King asks Rose for help. She must find the missing Princess – before all is lost. Holly and her publisher Orchard have generously offered a copy of ROSE AND THE LOST PRINCESS for a giveaway. To enter, all you need to do is be a follower (just click the follow button if you’re not a follower) and leave a comment through May 10th. I’ll announce the winner on May 12th. If your e-mail is not on your Google Profile, please leave it in the comments. If you mention this contest on Twitter, Facebook, or your blog, mention this in the comments and I'll give you an extra entry. You must be 13 or older to enter. This is for US & Canada residents only. On Saturday I’ll be participating in the Amazing Book Giveaway Hop. I’ll have lots of great choices for you. Next Monday, I have an interview with friend, follower and now debut author Jessie Humphries and a giveaway of KILLING RUBY ROSE, her fantastic YA mystery/thriller. Next Wednesday, I’ll be hosting a blog tour giveaway of SCAN by Walter Jury (writing under a pseudonym) who is one of the producers of the Divergent movie and Sarah Fine. It’s a YA fast-paced sci-fi story I hoped to read and review but couldn’t get to it with all that’s been going on. Next Friday I have a guest post by debut author Elizabeth May and a giveaway of THE FALCONER, her YA fantasy. I hope to read it before I give it away as it’s gotten great reviews. 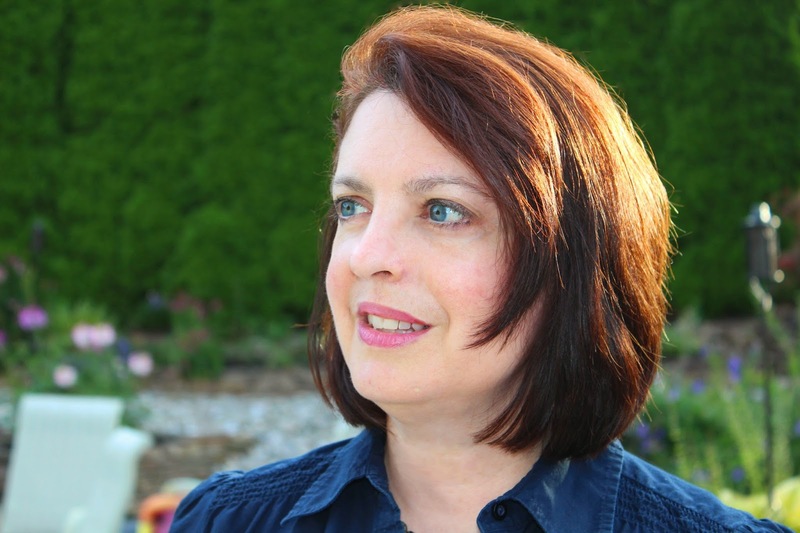 The following Monday I have an interview with debut author Tracy Holczer and a giveaway of THE SECRET HUM OF A DAISY, her contemporary MG story, that I know many of you will like and wish I had time to read. Happy Monday! I had a fantastic weekend with two of my cousins who visited. It was just what my heart needed. I have one winner to announce. The winner of ACID is AKOSSIWA! Today I’m thrilled to have Dianne Salerni here to share about her new MG novel, THE EIGHTH DAY that released April 22, 2014. This is a fantastic fantasy about thirteen-year-old Jax, who discovers an eighth day between Wednesday and Thursday. This is a fast-paced story that never lags. I loved Jax and how he tries to help his mysterious neighbor Evangeline who is stuck in the eighth day. The story is filled with Arthurian legends, magic, danger and so much more that kept me turning the pages. I can’t wait to read the sequel. Dianne is also the author of two YA novels, THE CAGED GRAVES (I loved this too and highly recommend it) and WE HEAR THE DEAD (Not read this one yet but I want to). tracing back to Arthurian legend. Fans of Percy Jackson will devour this first book in a new series that combines exciting magic and pulse-pounding suspense. 1. Tell us where you got the idea for your story. Thanks for having me here, Natalie! The idea for a secret day of the week came from a family joke. When my daughters asked my husband when they were going to get to do something, he used to tease them by saying they could do it on Grunsday. The girls would groan in response, because he wasn’t giving them a real answer. One day I started wondering what it would be like if there really was a Grunsday, an extra day of the week that only certain people knew about. 2. What a fun way to get a story idea. I know from reading some interviews that THE EIGHTH DAY did not start out including Arthurian mythology. Share when you decided to include this in the story in relation to creating the story and why. In my planning, I had already established certain physical characteristics for Grunsday and the people who lived only on that day. Because they lived one day out of eight, their lives would be extended compared to ours. The people who lived in all eight days had to be able to pass from the seven day world into the eighth day and back out again. I was doing some research related to this when I stumbled across a story about Merlin and his apprentice, Niviane, the Lady of the Lake. When Niviane stole Merlin’s powers, she confined him in a cave (or a forest in some versions of the tale) outside of time. Merlin’s life was extended by this imprisonment, and Niviane visited him from time to time to learn more of his magic. I was struck by the similarities to what I already had in mind … and the Arthurian connection took off from there. 3. I love Merlin myths. Glad you could add them to the story. THE EIGHTH DAY is your first middle grade story. What made you decide to try writing MG and how have you found it different from writing YA? really more apt for MG, and as soon as she suggested it, I knew she was right. I had shared my idea with my fifth grade class, and my students had been clamoring for me to read the manuscript to them ever since. Repeatedly. Insistently. It truly was an idea suited for middle grade readers. So I revised. The MG voice came easily to me – probably because I spend all day with kids. But I had to remove some dark, edgy elements and tone down the romance between two YA characters in the story. 4. Yes, I bet being a middle grade teacher helped. One of the things that I loved about THE EIGHTH DAY is how fast-paced it is. There are literally no wasted scenes. Share about your plotting process. Thank you! My first draft was a bloated 100,000 words. There were plenty of wasted scenes, and literally thousands of unnecessary words! But I’ve come to accept that as part of my writing process. I had a few key plot points that never changed – no matter how I revised everything else – but in the first draft I did a lot of wandering to find my way between them. Multiple successive revisions is how I cut down and refine a draft like that. I don’t try to make it perfect in the second draft. It’s only when I go back again and again and again that I can hack away the fat. In Draft 2, some of those extra scenes are still too precious to lose. By Draft 5, I’m not nearly as fond of them. Slash! 5. Glad I’m not the only one who needs multiple drafts to trim the unnecessary scenes. You made the interesting choice of switching the POV between Jax and Evangeline, who is more of a YA character. I haven’t really seen this type of POV change that is not another MG character. Why did you decide to do this and which character was more challenging for you? Well, as I said, I originally wrote this as YA, and although Jax changed to a MG character (which fit him much better! ), Evangeline and Riley, Jax’s guardian, remained YA. I recently wrote a blog post on non-MG characters in popular MG books. I know there’s supposed to be a rule about that, but there are so many exceptions. In addition to the ones I mention in my post, there’s also Wonder, which has several YA POV characters. In The Eighth Day, Evangeline was definitely the harder character to write, but not because she’s YA. Evangeline is trapped in the eighth day, living only one day a week. Her POV needed to convey what her existence is like, the essential loneliness of her situation, the story of how she came to be living next to Jax, and the history of her entire race. That’s a lot to cram into the viewpoint of one 16 year-old girl while still making her chapters lively and interesting. 6. You’re right that Wonder does that too. That’s a great story too. I know you’ve already drafted book 2 and 3 in the series and at some times it was really challenging. What did you learn from this process that would be helpful to the rest of us thinking of writing a series? I’m going to refer everyone back to #4, in which I discuss my writing process. That’s what I learned while writing this series. My process IS the way I work, and there’s no getting around it. Even when I have to write a book on contract and on a schedule, I still have to go through all those steps. I learned there is no avoiding that horribly messy first draft. I wanted it to be different for books in a series. I wanted it to be easier. But I don’t think it ever will be. 7. Each of your books has been published by a different publisher. What’s it been like working with different publishers and what advice do you have for other authors in this situation? I once thought (and I think a lot of other people think this, too) that when you find a publisher, you will stay with that publisher forever and they will publish everything you write, happily ever after. But that is not the case. Every new project goes through the same submission process as your first one, and if it’s not a fit, you move on. Publishers all have their own style and procedures. Some do everything electronically. Others do everything on paper. (Seriously, I needed my bifocals and a magnifying glass to decipher the brown-penciled editing marks on one manuscript!) My advice to authors is to ask questions – of your agent, of your editor – so you know what’s expected of you no matter who you’re working with. 8. I used to think that about publishers too. Share your marketing plans and how this is different, if at all, from marketing your YA books. Marketing a MG is going to be a little different than marketing a YA, but I’m excited about it. Middle grade readers are generally not on social media, and I’ve already noticed that there are WAY more bloggers reading/reviewing YA books than MG books. 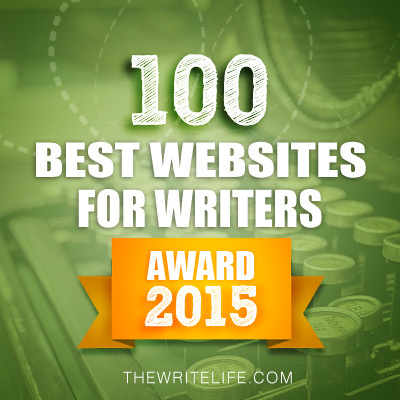 However, the gatekeepers to MG readers are out there – parents, librarians, teachers, etc. I’ll be trying to connect with those people. Plus, never underestimate Amazon. A lot of middle grade readers have e-readers, and Amazon recommends titles to kids. 9. Yes, that’s true about bloggers. And I hadn’t thought about how important Amazon can be. What are you working on now? 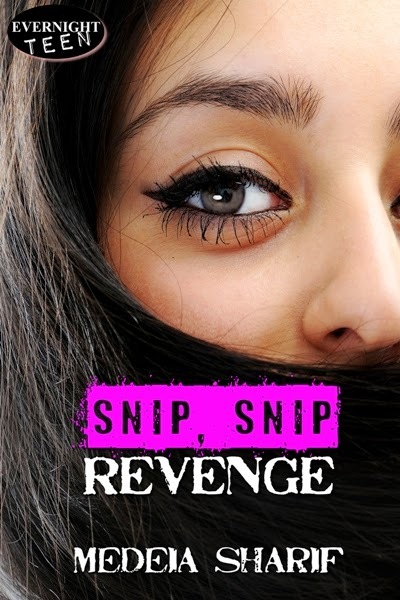 Dianne’s publisher Harper Collins generously donated an ARC for a giveaway. To enter, all you need to do is be a follower (just click the follow button if you’re not a follower) and leave a comment through May 10th. I’ll announce the winner on May 12th. If your e-mail is not on your Google Profile, please leave it in the comments. 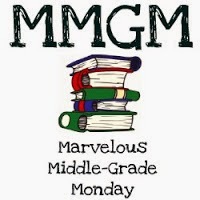 You can find all the blogs participating in Marvelous Middle Grade Monday at Shannon Messenger's blog HERE. 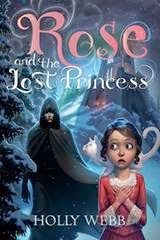 On Wednesday I’ll have a guest post by Holly Webb and a giveaway of ROSE AND THE LOST PRINCESS, her MG fantasy. Today I’m excited to have debut author Rori Shay here to share about persistence on the writing path. 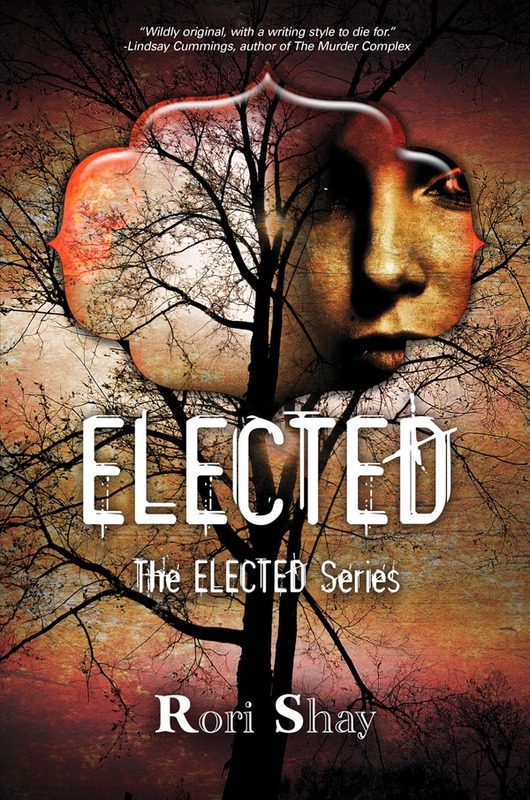 And she’s giving away a copy of ELECTED, her YA sci-fi story that released yesterday. Details of the giveaway will be at the end of the post. Any author who plans to get published will have to deal with rejection, at least once—by an agent, an editor, or maybe in book reviews. How does one persevere through rejection, especially if we’re supposed to be sensitive, artistic people? One author said she tries to be like a roasted marshmallow (soft and squishy on the inside with a crackly hard exterior). Let me start with my own story. I started out querying, not knowing exactly how to do it and not even having a polished first draft. I got a lot of requests for the full manuscript, but it wasn’t until I’d queried 100 agents that I actually got an offer. A hundred! Whew! 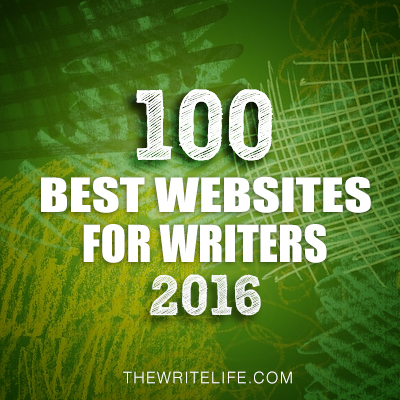 The agent who eventually offered me a contract and signed me with a publisher was number 82. Now my book, ELECTED, a young adult sci-fi thriller, is releasing with Silence in the Library Publishing. There are others like me—much more famous—who have similar rejection stories. I thought I’d list just a few here to help inspire all of us and remind us to keep persevering, no matter what! Jodi Picoult, best-selling author of over 18 books, didn’t get any attention for her first book. I met her at a talk she gave in Washington D.C. and asked her if she had any advice for new authors. That’s when she told me this story and said, “keep writing.” After her first novel didn’t get picked up, she put it down and wrote a second one. That book became a bestseller, and after she was duly famous, publishers wanted her first book too. out to the public, keep going no matter what. Even if you have enough rejection letters to wallpaper a room, remember that it only takes one YES to make your dreams become reality. Thanks for sharing your advice, Rori. Kickstarter: for printed copies, a free ebook, and a lot of special limited-edition items and other free books. On Monday, I’m interviewing Dianne Salerni and giving away a copy of THE EIGHTH DAY, her new middle grade fantasy. This is a fantastic, well-plotted story that I couldn’t put down. Next Wednesday I’ll have a guest post by Holly Webb and a giveaway of ROSE AND THE LOST PRINCESS, her MG fantasy. Next Saturday I’ll be participating in the Amazing Book Giveaway Hop. I’ll have lots of great choices for you. The following Monday, I have an interview with friend, follower and now debut author Jessie Humphries and a giveaway of KILLING RUBY ROSE, her fantastic YA mystery/thriller. Happy Monday Everyone! I hope you had a great weekend and that many of you got Friday off. Anna Li and I had a three day weekend and it was nice. Thanks to all of you who were part of my being blitzed on Wednesday. Last week was one of those hard weeks and all the sweet comments lifted my heart up. 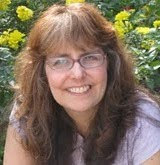 And don't forget to enter the contest for a query critique by Tina Wexlter if it would help you. I'm picking the winner by random.org. I have one winner to announce. The winner of DEAR KILLER is Medeia Sharif! 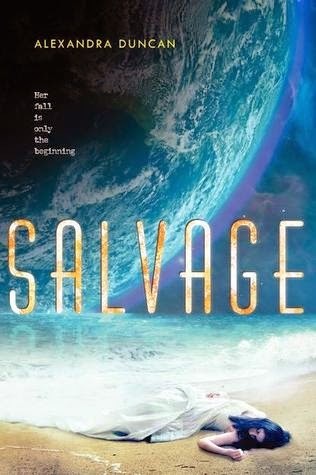 Today I’m thrilled to have debut author Alexandra Duncan here to share about SALVAGE, her YA sci-fi story that released on April 1, 2014. I first heard about this through a recommendation I read by Rae Carson, another favorite author of mine, and knew I had to read this. It’s a fantastic story with a contemporary feel to it in terms of Ava’s emotional growth through the story. The world building is amazing with completely different worlds and societies on the space ship where we meet Ava and then on Earth. And I loved how the story explored the different roles women have in different societies. I couldn’t put this down. Loved it! Hi, Alexandra! Thanks so much for joining us. I’ve wanted to be a writer since before I could spell. When I was a kid, I would draw pictures in a notebook and then beg any handy adults to write down the stories I made up. After college, I started out writing short stories. About two years after I sold my first story, I took a deep breath and jumped into the novel pool. Today I work as a librarian and write whenever I’m not wrangling books. Salvage is my first novel. 2. I know other authors who started writing short stories. Where did you get the inspiration for SALVAGE? As strange as it sounds, a lot of the inspiration came from my own life. I grew up in a small church in rural North Carolina where there were very strict expectations about behavior for girls and women. That close-knit society where everyone knew everything about everyone inspired the merchant crews in Salvage. A lot of my version of future Earth came from traveling in Haiti and Nicaragua as a teenager and seeing people making a living from what others had thrown away. 3. So interesting how you drew from your own life and travel experiences. I loved your world building and the different roles women have in different societies that you explore through your story. Share about your world building process and your decisions on creating the different societies in your story. World building is a two-way street. Sometimes you drop something into the plot or description just because you think it’s neat, and then it becomes a bigger part of the narrative. For example, at one point I thought, “Oh it would be cool if these characters wore metal jewelry.” But then I reasoned that it wouldn’t make sense for them to wear metal jewelry all the time. It would get in the way of their work. So maybe they only wear metal jewelry on special occasions, like weddings. And they wouldn’t choose something incredibly difficult to come by for such a common celebration, so they must have metal lying around. Maybe that metal is part of the cargo they’re shipping to other planets. It would be heavy to wear, though, and that made me start thinking about the difference in gravity on Earth versus other planets or ships, which turned out to be a major plot point. It can also run the other way, too, though. For example, I knew that I wanted Mumbai to be a major setting in the book, but I had established that the Earth’s sea levels had risen enough to cover whole island nations. How could Mumbai still be around when it’s a coastal city? A massive seawall with a system of pumps would work. But it would have to have been developed when the water first started rising, which might indicate that India was both technologically advanced and ecologically conscious enough to realize what was happening and act in time to save its coastal cities. If you extended those attributes out many years into the future, you might reach a highly technologically advanced society where combustion engines are illegal and people have adopted trains, bicycles, horses, and pack elephants as means of travel. 4. What you shared shows some of the reasoning that has to go into world building so it makes sense. One of the many things you did well was show how Ava would realistically view all the new technology she was exposed to once she got to Earth. How did you get that so right? And she has a distinctive way of speaking from her life on the ship that’s really different from people on Earth. What made you decide to have her speak differently and what the process of creating the different dialect? As far as Ava’s speech, I’ve always been really interested in linguistics and things like pidgin languages and creoles. Part of that likely came from being exposed to Spanish, Latin, and Haitian Creole as a teenager. I visited Gibraltar on that same study abroad trip I mentioned before, which is a British territory in the south of Spain. The people there have a language that’s truly a combination of English and Spanish, nothing like the jokes we make about “Spanglish” in the U.S. It’s so entirely its own thing that even though I speak both of those languages separately, I couldn’t understand some of the people there. It was a mind-blowing example of how language is alive. Several years after that trip, I read a short story called “The Fishie,” by Philip Raines and Harvey Welles in The Best of Lady Churchill’s Rosebud Wristlet. (Which is the greatest literary magazine on Earth, as far as I’m concerned.) It’s stunning. The authors basically made up a pidgin and wrote the story entirely in their invented language. Once you read for a few pages and begin to recognize the patterns and context clues, you can grasp what’s happening, but you have to work at it. I thought that was an amazing way of conveying the foreignness of a culture. I wanted to try my own, more accessible version of that technique in Salvage. 5. I read that you only wrote short stories before writing SALVAGE. 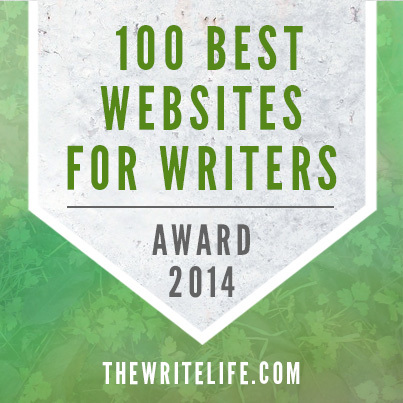 What were some of the challenges you faced in making the leap to writing a novel? 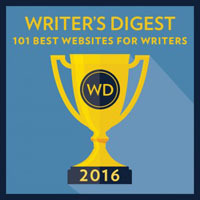 Writing a novel requires a whole different type of mental architecture than writing a short story. With a short story, I can hold the whole plot in my head and trust myself not to forget any part of it, because it usually only takes a month or two to draft. With a novel, I find myself going back over what I’ve written multiple times to make sure I’ve connected all the loose strands. I take more notes and write rough plot outlines, because the drafting process takes closer to a year to a year and a half. I actually wrote a 30,000-plus word novella called “Rampion” before beginning work on Salvage to prove to myself that I could handle something longer than a short story. I was intimidated at first, but it turned out to be something I could do. 6. Yes, I have to go back and reread parts of my story all the time too. 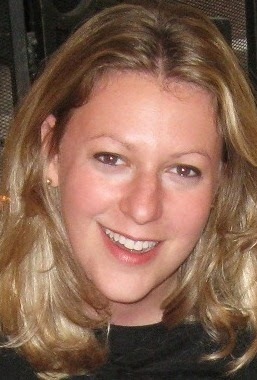 Your agent is Kate Schafer Testerman. 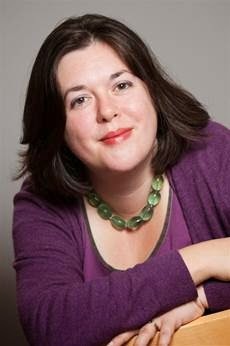 How did she become your agent and what was your road to publication like? I feel so lucky that Kate is my agent. After I wrote Salvage, I wasn’t shopping it around very extensively, in part because a different agent had read my short stories and expressed interest in my novel before it was finished, and also in part because I was nervous. I had a friend who was one of Kate’s clients, though, and she happened to mention what I was working on to Kate. Kate was interested, so we started talking, and it all clicked. I still worry that she doesn’t know how truly excited I was when she called to tell me Salvage had sold to Greenwillow. I had the flu, and even though I had to lean against the wall to keep from falling down out of pure excitement and disbelief when she told me, I think I sounded strangely calm and quiet. Too much NyQuil will do that to you. 7. Awesome how that worked out for you. Reflecting back on the year leading up to your book release, what advice do you have for aspiring authors as they plan for their debut year? 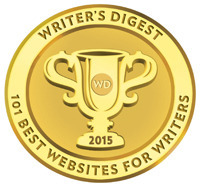 Don’t be afraid to ask for advice, either from your agent and editor, or from any writer friends you have. No one’s debut year is exactly the same, so don’t feel bad about admitting that you don’t know where to go to order bookmarks or who is going to be contacting your local bookstore about a signing. 8. Great advice to go to others for advice. I know you’re a librarian too. How do you recommend debut authors connect with librarians with the hope of getting the library to purchase their book? And do you have any MG and/or YA librarian blogs you’d recommend we follow? Every library system is a little bit different, but in general, two good things to know are 1) libraries don’t have much money, and 2) librarians usually have a selection policy they have to follow when buying books for their collection. Often that policy says they can only buy books that have received positive critical reviews from an industry source like PW, Booklist, VOYA, or School Library Journal. However, the policy will sometimes allow a loophole for local authors who don’t have those reviews. If a librarian doesn’t commit to buying your book immediately, don’t freak out. She likely has to check review sources and make sure she has the money to buy it. A good way to connect with your local librarian is to e-mail the person in charge of YA purchasing, introduce yourself, and arrange a time to meet her. That will help you avoid the awkwardness of showing up unannounced and finding that she’s on her way to a meeting or swamped with other duties. When you show up, bring some bookmarks. We librarians love bookmarks, because we can give them away to our patrons. Make sure to mention the name of your publisher and where the librarian can find critical reviews. Keep it simple and friendly. My blog-reading habits are all over the place. Because I’m a librarian, I get a lot of my YA book news from places like Booklist, VOYA, and School Library Journal, but I’m also addicted to Goodreads, Beth Revis’s wonderful blog, and EpicReads. 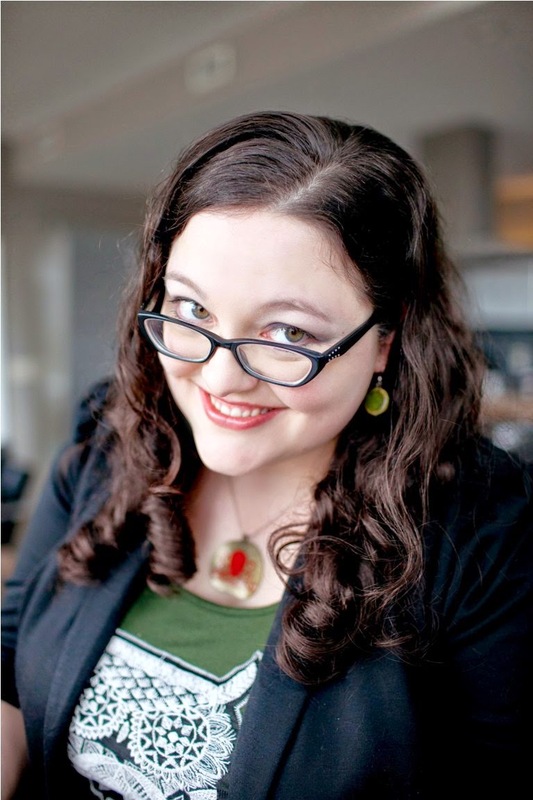 My favorite librarian blog has nothing to do with YA. It’s Awful Library Books, which is all about the terrible books librarians find when they’re weeding, i.e. clearing outdated books from their collections. It sometimes skews a little adult, but it’s mostly things like Latawnya the Naughty Horse Learns to Say “No” to Drugs and Be Bold with Bananas. Maybe stay away if you have an aversion to late-‘70s Burt Reynolds’s chest hair, though. 9. Thanks for the tips on librarians. They are so important to connect to. What are you working on now? Right now I’m working on a companion novel to Salvage which follows a teenage Miyole on her adventures in deep space. Thanks for sharing all your advice, Alexandra. You can find Alexandra at her website, Twitter, Facebook, and Goodreads. Alexandra has generously offered a copy of SALVAGE for a giveaway. To enter, all you need to do is be a follower (just click the follow button if you’re not a follower) and leave a comment through May 3rd. I’ll announce the winner on May 5th. If your e-mail is not on your Google Profile, please leave it in the comments. If you mention this contest on Twitter, Facebook, or your blog, mention this in the comments and I'll give you an extra entry. You must be 13 or older to enter. This is for US & Canada only. On Wednesday Rory Shay will be sharing a guest post on persistence on the path to publication and giving away a copy of ELECTED, her new YA sci-fi story. Next Monday, I’m interviewing Dianne Salerni and giving away a copy of THE EIGHTH DAY, her new middle grade fantasy. This is a fantastic, well-plotted story that I couldn’t put down.